26 January 2017. By Curtis Eichelberger. Antitrust lawyers based in the US and abroad say they are concerned that US President Donald Trump's "America First" philosophy could mean less US coordination with foreign antitrust regimes, leading to greater complications on big deals that require remedies across multiple jurisdictions. Trump's inauguration speech focused their concern because his slogan could no longer be dismissed as mere campaign rhetoric. His words are seen as an indication of his priorities in filling positions at the US Department of Justice and the US Federal Trade Commission, the nation's two primary antitrust agencies. "We assembled here today are issuing a new decree to be heard in every city, in every foreign capital, and in every hall of power," Trump said in his inauguration speech in front of the US Capitol last week in Washington. "From this day forward, a new vision will govern our land. From this day forward, it's going to be only America first, America first." Under the Obama administration, US antitrust enforcers coordinated so closely with their European — and even Chinese and Brazilian — counterparts that companies could design global remedies to get their deals through. 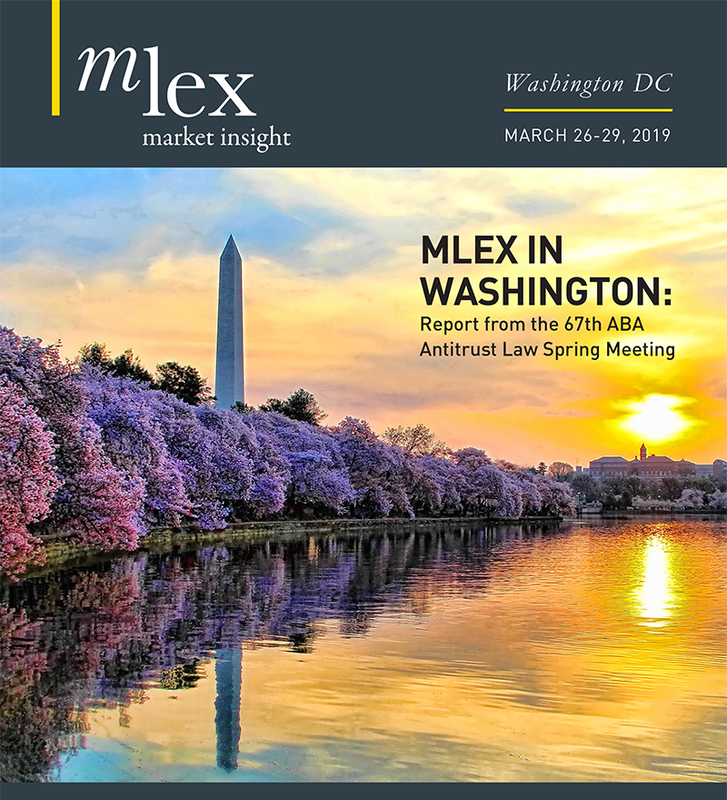 If US agencies focus inward and have less concern about companies' antitrust problems in foreign jurisdictions, deals that get quicker US antitrust approval could ultimately face greater resistance abroad. While Trump has not made clear his plans for antitrust enforcement, US attorneys expect the DOJ and FTC to become more conservative, requiring greater economic certainty that a merger would be anticompetitive before acting to block a deal. This less aggressive approach to merger review will stand in contrast to those of many foreign regulators, including the European Commission. Multi-jurisdictional reviews are an increasing concern for US companies. Whereas two decades ago, the US and European Commission were the world's primary antitrust regulators, today there are more than 100 regulatory regimes, many of them operating with different rules from those in the US. Under the best of circumstances, seeking approval from multiple jurisdictions can delay deals, cost millions in regulatory and legal fees, lessen efficiencies created by the deal and introduce uncertainty that leads customers and employees to jump ship. An "America First" approach to coordination would have its greatest impact on large international deals, attorneys say. For example, the $130 billion merger of agriculture giants Dow Chemical and DuPont requires antitrust approval in at least 25 jurisdictions: Brazil, Argentina, Australia, Canada, Chile, China, Colombia, Eastern and South Africa, Egypt, the European Union, India, Indonesia, Japan, Kenya, Mexico, New Zealand, the Philippines, Russia, Serbia, South Africa, South Korea, Taiwan, Turkey, the United States and Ukraine. Each of the jurisdictions has different filing timelines, national security reviews, antitrust reviews, appeals processes and political and cultural considerations. While most lawyers say they are concerned about Trump's "America First" rhetoric, others expect him to succumb to influences within the US political system and become more pragmatic over time. These lawyers say the DOJ and FTC will continue to coordinate with foreign jurisdictions just as they have for more than a decade, through both Republican and Democratic administrations. They add that Trump could ultimately interpret "America First" to mean that we must show the rest of the world that our antitrust laws and economics-based analysis is the best in the world. As foreign jurisdictions gain confidence in their own systems, they become sensitive to being told by the US what to do. If the US's goal is to put America first, that goal might best be achieved by communicating US positions and coordinating enforcement with other nations, attorneys say. International coordination isn't about the government; it's about the companies. A policymaker with an "America First" orientation might not care about the antitrust issues in other countries, but US companies do. And the cost of reducing coordination might be felt most by US companies that would otherwise benefit from coordination, such as Dow and DuPont. During his campaign, Trump said he'd block mega-mergers such as AT&T-Time Warner — but some observers suspected he was just playing to the crowds and presenting himself as someone who wasn't afraid to take on corporate power and defend the little man. After he won the election, his meetings with corporate CEOs in the midst of antitrust reviews were met with raised eyebrows. And when he took the oath of office and then told the world that from now on, it is "America first, America first," it created genuine apprehension among those who follow antitrust reviews and coordination. The incoming assistant attorney general for antitrust at the DOJ and the new FTC chairman, neither of whom has been named yet, must serve the president. Will they adopt his philosophy? And what is that philosophy exactly? "You don't know whether, and how, [his antitrust policies] are going to mesh with the protectionist statements the president has made," said one attorney. "I'm sure he never had antitrust anywhere on his mind when he made those comments during the inauguration, but what's the new AAG to do? Those are the comments of the President of the United States."